We will be returning to The Baby Show at London Excel for the fourth time on the 22nd - 24th February 2013! Green Nippers have a fantastic range of high quality and ethically made organic baby & children's clothes (0-5 years). Each unique & colourful garment is made from 100% organic cotton and certified by the Soil Association. Our clothes represent great quality without costing the earth in more ways than one. We know you want the very best for your child but at the same time you love a bargain ... so why not take a family trip to The Baby Show and visit Green Nippers on stand L12 for some very exclusive 'show only' offers? In the meantime why not browse our fabulous organic baby & children's clothes or visit our sale page? 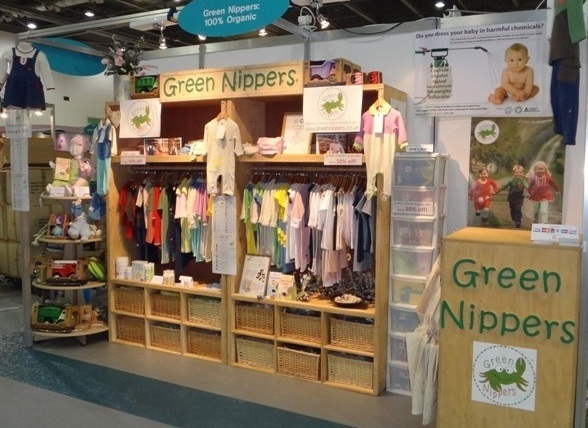 What is Green Nippers stand number at The Baby Show, London Excel in February 2013?